The Central Hotel Guest House is located at 96 St George's Street, at the heart of Simon's Town's historical mile. Our Bed & Breakfast accommodation in a lovingly restored, Victorian Hotel is rich in history, character, atmosphere and warmth. Our B&B is within easy walking distance of numerous fine restaurants, shops, museums, period architecture and other historical attractions. Our neighbours are whales, penguins and seals, and our neighbourhood a world heritage bird site. 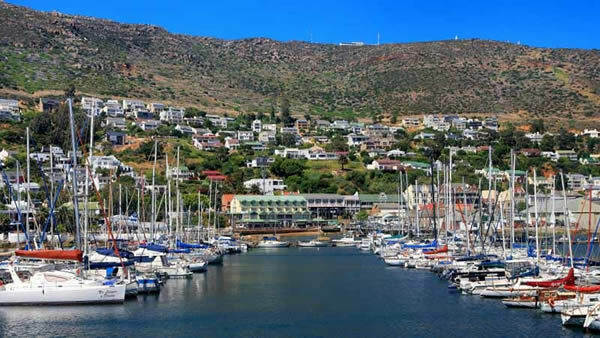 Simon's Town is famous for deep sea fishing, yachting and scuba-diving, and is set within the majestic beauty of Table Mountain and the wild splendour of Cape Point. Guests are accommodated on a bed and breakfast basis, served in our cosy dining room. Enjoy our delightful continental buffet including yoghurts and cereals, fresh fruits, bottomless cups of coffee, orange and tropical fruit juice followed by a heart-warming breakfast of the day. Dating back to 1828, the Central Hotel Guest House forms part of Simon's Town historical mile incorporating many years of memories in its ancient walls. Built by George Huskinson, it was here that Vincent and Grout's omnibuses and post-carts collected and delivered the Royal Mail to the local postmaster. In 1894 the building was bought by Ohlsson's Cape Breweries, from the estate of George Bowern. It was converted into the Central Hotel and formed part of the breweries' overall drive to own as many hotels as possible in order to promote beer sales. The hotel thrived until well after World War 2. In 1987 the building was purchased by the Coetzee family and was owned and managed by Malinda Coetzee until Peter Weng, Yunfang Chen and Aaron Lin became new owners in early 2015. Airport transfers arranged upon request at an additional cost. No visit to Simon's would be complete without seeing some of our history and attractions.